This week I made Banana Crumb Muffins. You’ve seen them everywhere, but have you ever tried to make them? These muffins are a hit at supermarkets and coffee shops all over the country (probably the world). 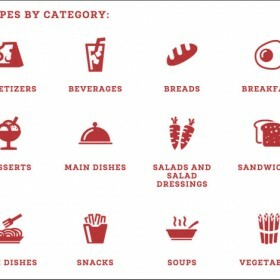 Now, you can make them a hit in your own home! 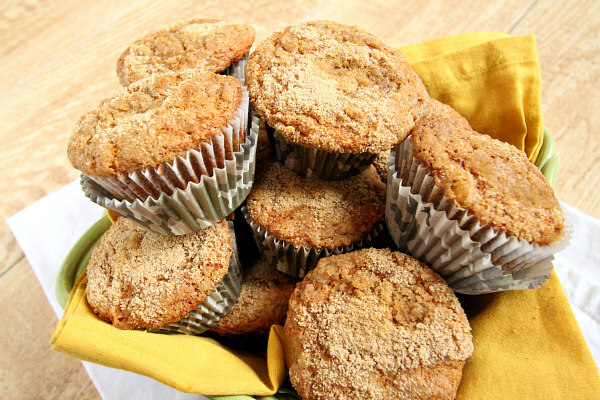 These muffins look perfect with the crumble on top. And guess what?! They taste perfect too! Believe it or not, there is actually a story behind these muffins… A few weeks ago, I volunteered at the Ronald McDonald House with some friends. We had the pleasure of cooking for families with sick kids. I was at a different friend’s house trying to raise money for our high school basketball program right before I headed downtown to the Ronald McDonald House, so I had the muffins with me. Of course, I ended up forgetting to bring the only item I was responsible for. That may sound horrible, but we found a surplus of sweet treats when we got to the Ronald McDonald House, so it was okay. We had a blast cooking for the families and doing some work in the kitchen. 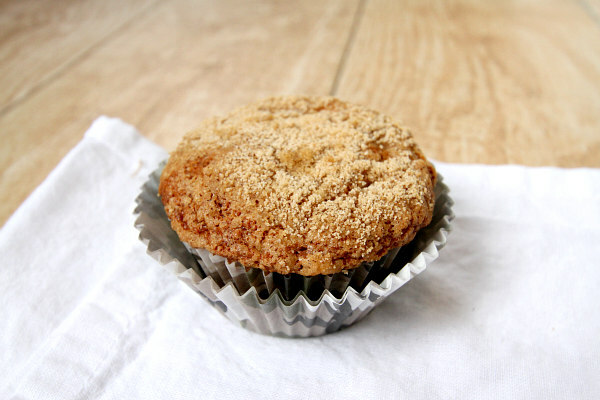 These Banana Crumb Muffins tasted just like the good, homemade ones at local coffee shops. I advise you to eat them while they are warm. The temperature does a lot to the flavor and overall enjoyment. And by the way… It’s lacrosse season again! An awesome breakfast muffin recipe! In a large bowl, whisk together the flour, baking soda, baking powder, cinnamon, nutmeg and salt. Set aside. In a separate bowl, whisk together the bananas, sugars, egg, butter and vanilla. Whisk in the dry ingredients. Spoon into the prepared muffin cups. 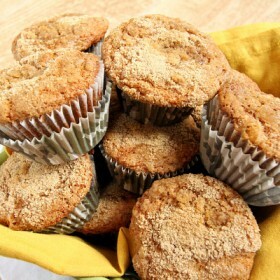 Prepare the crumb topping: In a small bowl, use a fork to mix the sugar, flour, butter and cinnamon. 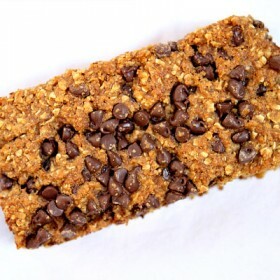 Sprinkle the crumb topping over the batter in each cup. Bake 18 to 20 minutes, or until the muffins are cooked through in the center (use a toothpick to test coming out clean). 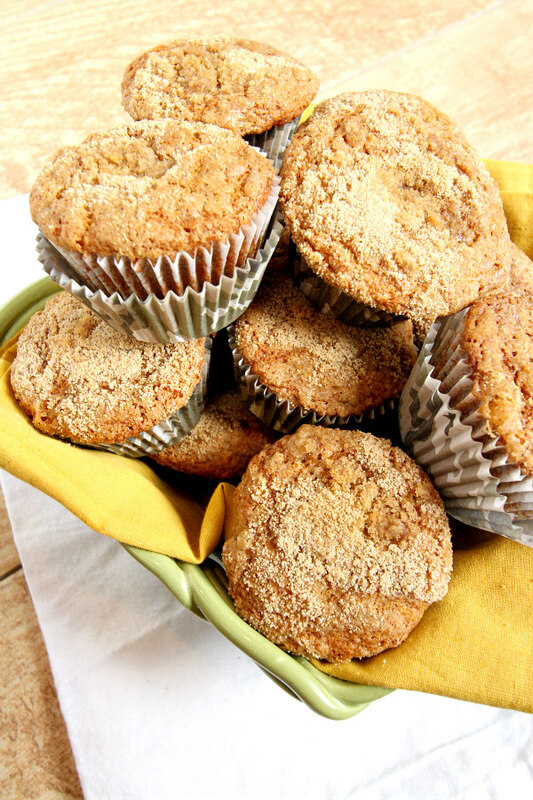 I can’t wait to make these- I love banana muffins!